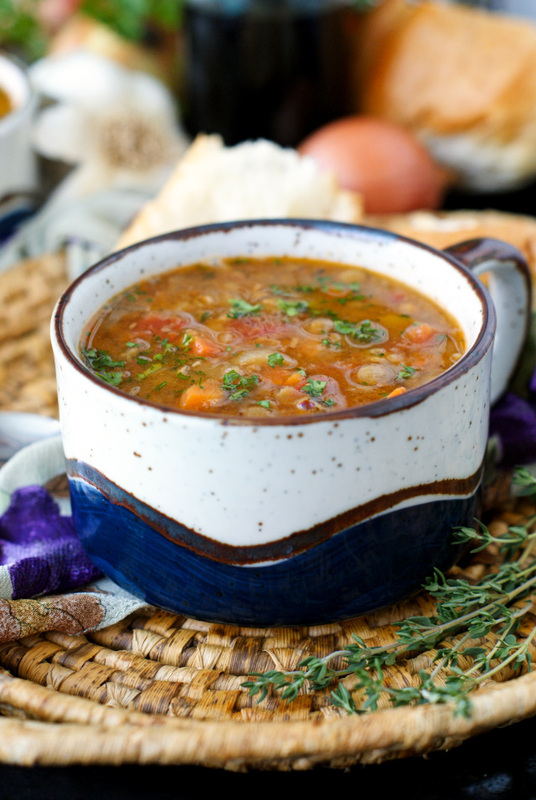 This Hearty Lentil Soup is comforting and filling, yet light and fresh. It comes together easily using common pantry ingredients and lots of fresh vegetables! The end of winter has finally arrived and spring is in the air. Little buds filled with springtime energy are crowning the tips of the tree branches and the pollen is flowing in the breeze. I'm ready to get my hands dirty in my vegetable garden now that all chances of frost have passed. Gah, I simply cannot wait for those homegrown veggies to start popping up in the backyard. While I am super excited about the changing of the seasons, it's bittersweet for me if I'm going to be honest. 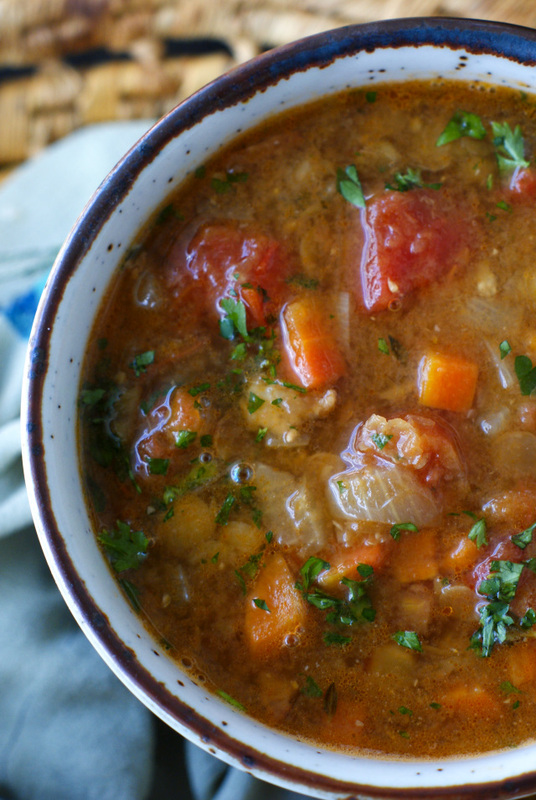 The fall and winter months bring with them some of my favorite things like bonfires, winter fashion, and all of my favorite comfort food meals like casseroles, roasts, soups, and stews. I'm happy to trade bonfires for the beach and sweaters for flip flops, but the arrival of spring means it's time to tuck away the stick-to-your-ribs comfort food recipes I adore so much until fall rolls around again. Sure, you can prepare comfort foods during the spring and summer moths, too, but truth be told, in Florida a piping hot soup is less than desirable in July if you know what I'm sayin'. 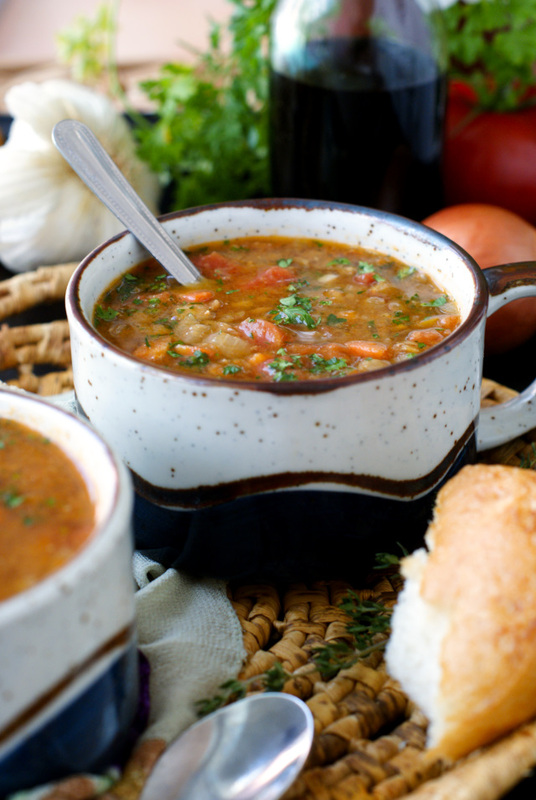 This Hearty Lentil Soup is my last nod to winter before the sun is scorching and anything less than a gazpacho will do when it comes to souping it. 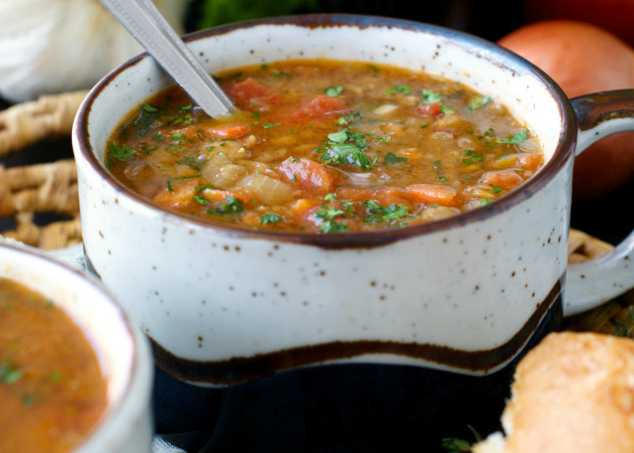 This lentil soup has all of the hearty, filling, flavorful qualities that you could ever want in a comfort food classic! This soup recipe just screams make me! I just love that the ingredients are ones that I usually stock in my pantry and everything about it said fresh, fresh, fresh. It was slightly smokey thanks to the bacon, hearty and filling thanks to the lentils, and would you just look at those beautiful colors! Just gorgeous! I hope you enjoy! 1. Fry bacon in a large stockpot or Dutch oven over medium-high heat, stirring occasionally, until fat is rendered and bacon is crisp, 3 to 4 minutes. Add onion and carrots; cook, stirring occasionally, until vegetables begin to soften, about 2 minutes. Add garlic and cook until fragrant, about 30 seconds. Stir in tomatoes, bay leaf, and thyme; cook until fragrant, about 30 seconds. 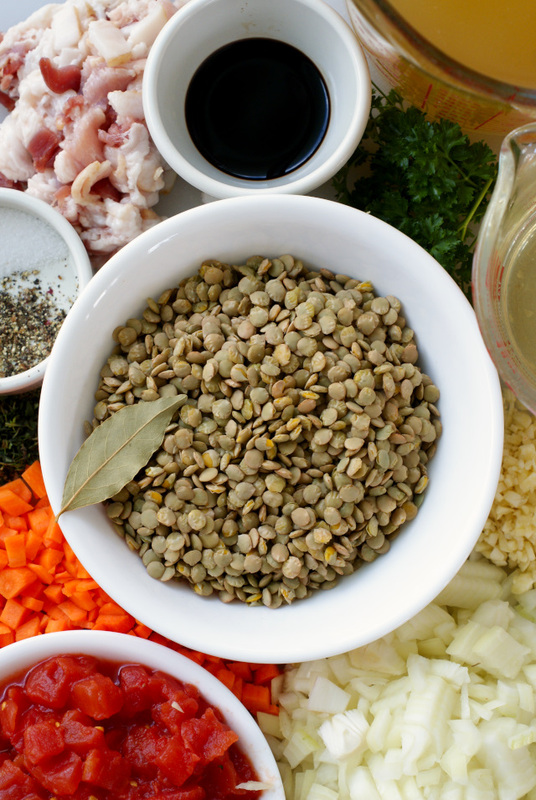 Stir in lentils, salt, and pepper to taste; cover, reduce heat to medium-low, and cook until vegetables are softened and lentils have darkened, 8 to 10 minutes. Uncover, increase heat to high, add wine, and bring to a simmer. Add chicken broth and water; bring to boil, cover partially, and reduce heat to low. Simmer until lentils are tender but still hold their shape, 30 to 35 minutes; discard bay leaf. 2. Puree 3 cups soup in a blender until smooth, then return to pot; stir in vinegar and heat soup over medium-low until hot, about 5 minutes. Stir in 2 tablespoons parsley and serve, garnishing each bowl with some of remaining parsley.